The beginnings of Fruitshare and spreading the Fruitshare word…to the whole wide world! Some of you will have already clocked that I have a bit of thing for fruit. It was an unknown variety of strawberry that first made me swoon, an incredibly sweet and juicy one that simple knocks the socks off anyone who tastes them. That was the initial hook which consequently set about a heightened sense of awareness of what fruit, if any, was growing quietly in other people’s gardens …with a relentless desire to have a sneaky little taste. My eagerness for wanting to find and try fruit was, all of a sudden, completely quenched with the onset of the apple harvest season. 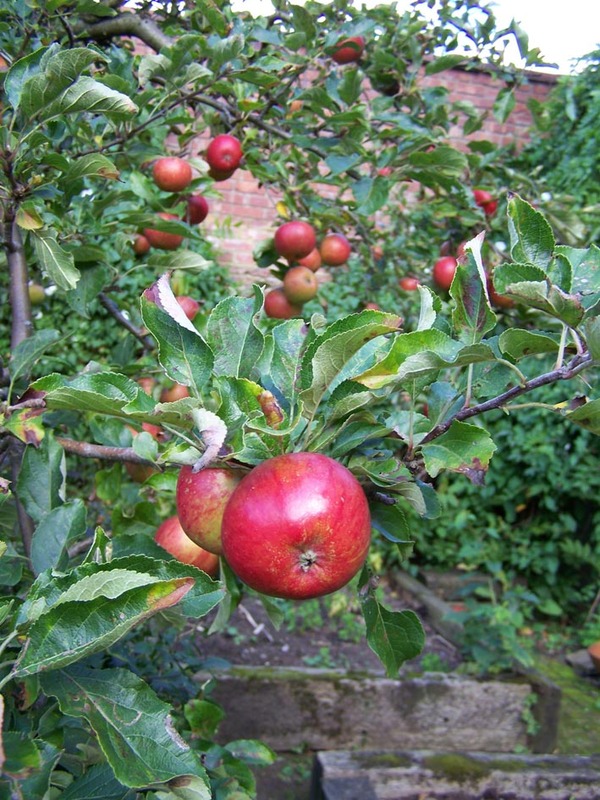 I gathered unwanted apples of all shapes and sizes from the gardens I worked on, made enough apple crumbles and apple Dorest cakes to feed the five thousand and had enough surplus apples to keep family and friends extremely happy. It was an overwhelming time and they weren’t even my apple trees. 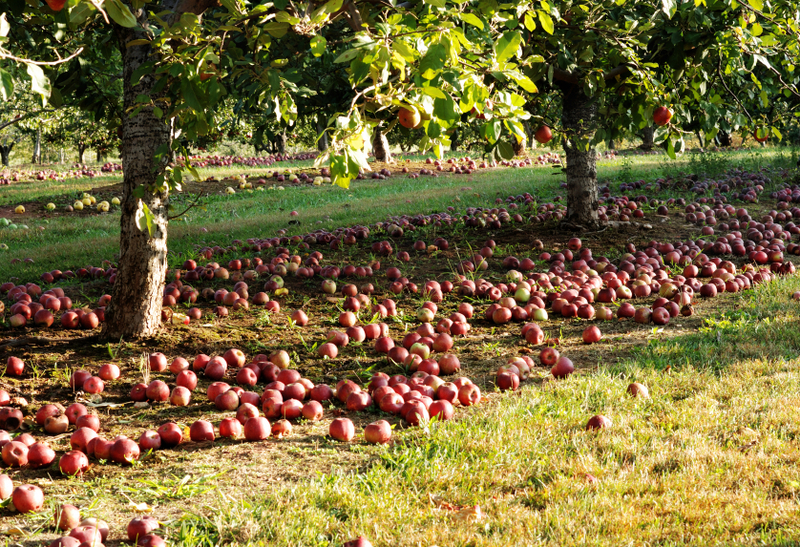 Borne from this abundant apple frenzy is fruitshare.net. I wanted to find a way of sharing this unwanted garden grown fruit, not just in the area I live but to make it accessible to people across the country. The website was set up and then redeveloped a year later in partnership with another fruit enthusiast, Richard Borrie from orangepippin.com, into a fully working database driven website. We are now in the beginnings of our second harvest season and we are keen to spread the word about the Fruitshare initiative as the more people that know about it the more sharing of the country’s forgotten fruits will take place. Hence, I am now on a little mission to get as much publicity as I possibly can, and by publicity I mean national… and beyond. I think the idea is a great one, but I am biased I know. What would be really really cool is if all of the grow your own/buy and source local/encourage sustainable food endorsing celebrities/organisations would give Fruitshare a big thumbs up and link up to us from their websites …but, lets be honest, that would just be dreaming. So, back to reality, a press release is the normal first port of call. Done. This has been sent out to a whole raft of publications from local press [they’re getting a bit fed up of me now I can tell], specialist magazines, national newspapers to BBC Breakfast! If anyone has close friends or relations at any of the major news publications please do get in touch! You’re probably sensing that I’m not getting very far with the traditional publicising route; well you’d be pretty much spot on. Time is ticking, I don’t have oodles of free time to be chasing illusive ‘contacts’ I’ve been dragging out of the internet, I need a new plan. Twitter. You’re very likely to be reading this because of Twitter. Fruitshare.net wouldn’t be here if it wasn’t for Twitter [Richard from Orangepippin contacted me via Twitter]. My other half rolls his eyes every time I mention Twitter…like many other other halves I am sure. People love Twitter, people hate Twitter. Twitter has had bad press, has been blamed for the recent youth riots, but, it was also the cause for the mass community clean ups that followed. It has a good side and bad side; I want to bring out its great side. With Twitter on my mind I have devised a new little plan, just to see how far I can publicise Fruitshare by just tweeting. As Fruitshare’s website is purely in existence today due to Twitter what better way to see the initiative evolve into an international phenomenon [there’s no harm in thinking BIG!]. So here’s the plan. If you think the Fruitshare idea is a great one and would like to get involved by spreading the word just simply retweet my tweets about Fruitshare. My mission is to tweet appropriate publications/media/organisations details of and a link to the Fruitshare site plus a link to this blog in the hope that they will give coverage to the scheme. It is day 6 of the Fruitshare campaign and so far the blog stats have rocketed, the retweets have been immense and the lists on the fruitshare.net site are getting longer! Support and feedback has been really positive and I thank everyone who has spread the word so far. One other idea I’ve come up with to help promote the Fruitshare initiative is a little A4 poster that can be downloaded from here, printed out and pinned to notice boards up and down the country [and beyond] in offices, cafes and shops. I’m demanding I know. I am duly printing them off myself and will be loading up the other half with them [who’s still rolling his eyes at me] to put up around his workplace. I shall go and hassle all the shop owners, with big smiles. I am still persisting with the Twitter campaign, although I do sense most are now fully informed with the whole Fruitshare thing…I apologies for my one track mind and repetitiveness. It shall all be over with the end of the harvests! My mission is still to get some national media coverage [I’m afraid I’m still thinking BIG]; and would love anyone to contact me for the official Fruitshare press release [mentioned earlier], for a chat about the project or any other ideas on how to spread the Fruitshare word. As you’ve probably guessed, I’m a bit passionate about the whole affair and will even share my precious, maturing sloe gin with anyone who can steal me that national slot for Fruitshare!